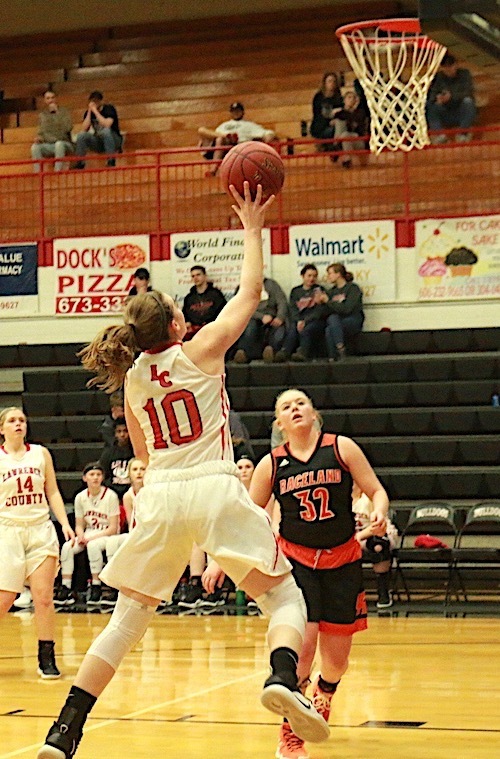 LOUISA, KY — Lexi Ratliff and Kensley Feltner combined for 41 points as the Lady Dawgs improved to 14-8 with a 62-53 victory over Raceland ( 9-11 ) Monday night at the Dawg House. Kensley Feltner with the bucket in a win over Raceland Monday. Lawrence Co. led 20-16 after one period and 34-26 at halftime. Raceland out scored the Lady Dawgs 14-6 to tie it up at 40 going to the final stanza. With the score tied at 44 the Lady Dawgs went on a 10-0 run in the 4th quarter to secure the win. Lexie Ratlif putting up a shot vs Raceland Monday. Ratliff had 14 first half points. 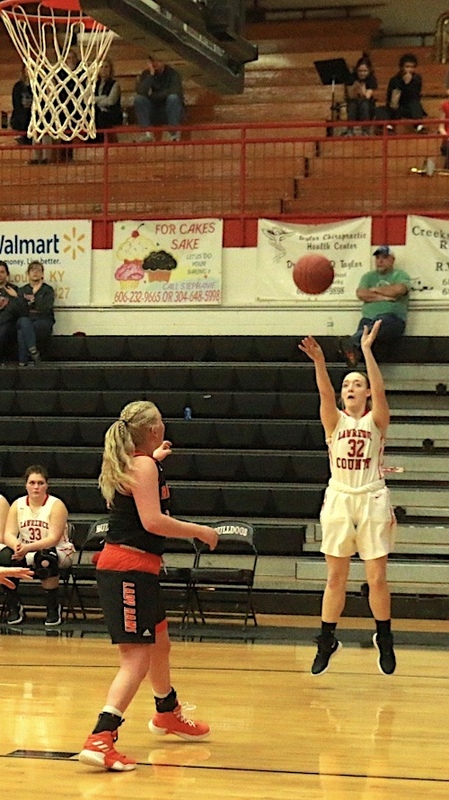 Feltner led Lawrence Co. with 21 and Ratliff was close behind with 20, Kylie Maynard tallied 7 points, Kykeah and Kaison Ward chipped in with 4 points apiece, Sheree Hay, Kelly Davis and Brooke Neal had 2 points each. LCHS went 17-23 from the line and hit 3 three pointers. Lawrence Co. has won 6 straight vs the 16th Region. Lawrence Co. will return to action tonight against Tolsia ( 11-4 ) at Home.